Find the item in “List Values” field in the property panel. List Values (“Basic” tab) – Items that will be displayed in a list. 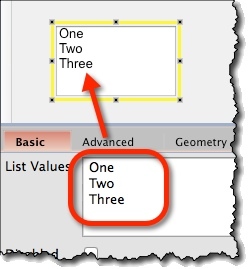 If an item is suffixed with a ‘#’ character, it will be displayed as selected.